You don’t need to break the bank to wear a smartwatch. 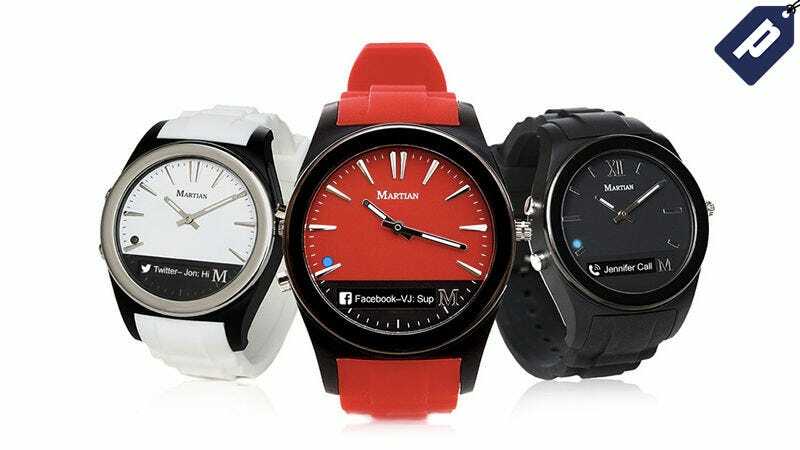 The Martian Notifier Smartwatch packs all the features you’d expect from a wearable in a stylish timepiece. Normally $130, Deadspin readers can get one for just $30 + free shipping, over 75% off the original price.